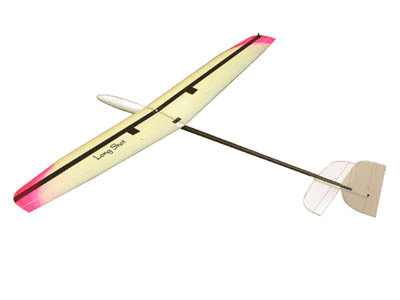 Contest grade discus launch RC glider, designed for the FAI Class F3K. The wing is made of extruded foam, covered with fiberglass. White gel coated glass/carbon fuselage pod, carbon boom.